I keep to-do lists, Google calendars, alarms, and timers. Productivity hacks. Everytime I hear about a new productivity tool or technique, I have to try it out. However, many of them tend to phase out of use over time. So I’ve compiled a list of products, services, and techniques I use that will help you improve your productivity, so you can get more of the stuff you want to get done done. This new method of journaling has changed my life, and improved my productivity dramatically. Bullet Journaling is a simple system using just pen and paper, and making checkboxes, circles, and dots. The key is sticking to it, and writing down your daily tasks either in the morning or the night before. If you’re reading this, then you’re probably wasting time on surfing the internet when you should be working! 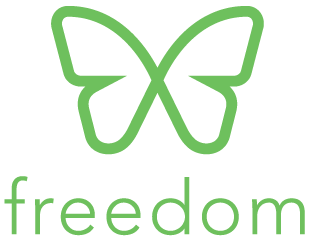 If you have a Mac and want to stop wasting time online, you should download Freedom. It’ll seriously get your freedom back. It shuts down your internet for a max of 8 hours and the only way to get it back is to restart your computer. 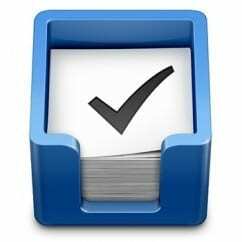 Things is a Mac app that is the best digital to-do list that I’ve tried. It has project to-do lists, it has daily to-do lists, it has tagging functionality, and a bunch of other useful functions. It’s all around the best app for keeping a record of tasks. Imagine being able to see everything at a glance in your inbox. Multiple Inboxes can help you get your inbox super organized. You make a specific filter for each of the inboxes you want and it’ll sort them as soon as they come in. You’ll have to go to Gmail Labs to set it up. Read this to learn more about Gmail Labs. I know Gmail has come out with “Tabs,” but I don’t like that you can’t customize them just yet. In the meanwhile, M.I. should do the trick. Sometimes I have to send out emails at a certain time, but I’ll either be working, or driving, and I can’t do it. This is where Boomerang comes in handy. You set the time and date when you’d like your email to be sent, and then you just click “Send Later” and you can forget about it. The Power of Habit is an awesome book describing how to change your life by getting rid of bad habits or making new ones. Up to 40% of what we do daily is based on well ingrained habits. This book tells you how to control your habits. If you purchase the Kindle version, you can get the audiobook from Audible for only $4 bucks more, which is a steal. I listen to it while I’m driving or before I go to sleep. It’s a great book describing the psychology behind what we do and why we do it just based on a few things like cues, rewards, and cravings. Check out The Power of Habit. The best way I’ve found to wake up earlier is by drinking a cup of water at night to wake up earlier the next morning. Usually, I wake up 20 to 30 minutes earlier than normal. It’s not scientifically proven, but my buddy introduced me to it, and he wakes up usually at 6am or 6:30am. If you don’t believe me, just try it yourself. Nev write’s an entrepreneur blog I found a long time ago, and he talked about how he does his daily to do list. I’ve tried it and it’s really helpful to see how much time you spend doing things and where all of your time goes. The only thing is I don’t like large notepads, but maybe you’ll like the system. It’s really simple and efficient. Check out Nev’s Task System. Sometimes you’re going through life, and then you try to remember what you did last week. You try and try…and nothing…you come up blank. After doing it for 3 years, it’s helped me in several situations where I had to remember what the hell I did that day. It especially helps for accounting purposes to remind yourself when you received or sent a payment. Sign up is easy, and you only get one email every night at 8pm. This is hands down the best temporary file transfer service out there. It’s better than Yousendit and Dropbox for sending temporary files. The file disappears after two weeks, so you can send it and forget it. However, that last point can be a double-edged sword if your recipient forgot to download it, and needs you to resend the damn thing again. In that case, Dropbox may be better. You can also upgrade for $50 a year to have your own database, private download channel, and you can password lock the downloads, so it’s a pretty darn good service. Let me know if you guys have any helpful productivity hacks or tips, I’d love to hear ’em out! Let me know in the comments below! This article was written by Gio Orellana of Giordany.com. Learnt about some new apps here, thanks. Would you say Wetransfer is better than Dropbox then? Thanks for the comment, Hangman Studios. WeTransfer and Dropbox are both great in their own ways, but slightly different apps serving slightly different markets. Dropbox offers more features. WeTransfer is great for quickly sending the odd file to friends or colleagues. Great tips! I love hearing about everyone’s different ways of staying on track. Thanks for the comment and getting in touch! One thing I’ve found that’s really powerful is setting yourself hard deadlines. Owning a video production business, you’re not always given deadlines by the clients themselves. This is especially true of wedding videography clients. Set yourself deadlines and you’ll find you get more done and quicker! Some days are better than others for this. I’m still working on this one myself! Also, I tried to click on OhLife but apperently they are shut down. :/ Just an FYI. Thanks for the heads up on this. I’ll edit the article.